Weijun Chen was awarded the prestigious Jacob Druckman Prize by the Aspen Music Festival and School. The award, offered "in memory of the great American composer who taught at Aspen from 1976 to 1995," is conferred on one student composer each season. The prize consists of a commission for a new orchestral piece for the Aspen Philharmonic Orchestra, which will be premiered this summer. In addition, Weijun has been commissioned by MATA to compose a new work which will be premiered at the 2016 MATA Festival. Finally, Weijun's string-quartet, Canoe, saw three performances in the past months by the Mivos Quartet, and received an honorable mention at the American Prize for Composition. Congratulations Weijun! Also, recent UB graduate Moshe Shulman has won the 2015 Fromm Foundation Commission Competition. Moshe is hard at work on the piece—a chamber work for singer and small ensemble with an original Hebrew text about Jewish prophetesses. We look forward to hearing about this project as it develops, and we can't wait for the premiere! Jessie Downs' music was featured on a concert in Chicago late last month, alongside works by Doug Farrand and Ryan Packard. Streetlights, a string trio originally composed for young musicians was performed, in addition to I did not see it to the end for piano, percussion, and electronics (see below for a recording). The latter work is a companion piece to work-in-progress, which Jessie is composing for Packard, Farrand, and UB pianist Jade Conlee), we'll look forward to hearing that piece soon. Also, Jessie's vocal sextet, castings of light, which was performed by Voxnova Italia at their December residency at the Center, will see a performance in downtown Buffalo later this Spring. Matt Sargent has been keeping very busy, with several commissions in the works, including a trumpet concerto for Jeff Silberschlag and the Chesapeake Orchestra, a piece for tuned gongs and real-time electronics commissioned by percussionist Julie Licata at SUNY Oneonta, and Pillars of Decay, a "multimedia collaborative performance for custom-designed metal/industrial instruments and real-time electronics," designed by Matt, vocalist Amanda Schoofs, percussionist Trevor Saint, and UB-alum Jeff Herriott. The work will be toured across the Rust Belt next year. In addition, Matt's Ghost Music, was recorded for a forthcoming album of solo percussion works by Bill Solomon of Signal. Matt also recently completed two series of works: More Snow to Fall, seven pieces for glockenspiel and vibraphone for Saint, who will premiere the works on his March 2016 tour, and Tide, three new works for 10 violins, 10 cellos, and 10 basses (i.e., multi-tracked soloist). The latter saw two recent performances by UB-alum TJ Borden in California (see below for a recording). Finally, Matt has been presenting a series of concerts with the Electroacoustic Ensemble at Bard College (where he serves as Visiting Professor of Electronic Music and Sound), including two performances with composer Michael Pisaro, who was in residence with the ensemble in November 2015. Last month, Roberto Azaretto was in Madeira, Portugal, where he took part in the Estalagem da Ponta do Sol Residency for Contemporary Music and Electronics. While there, he worked with composers Patricia Alessandrini and Gilbert Nouno, and had an in-progress work performed by violinist Karin Hellkvist and flutist Richard Craig. 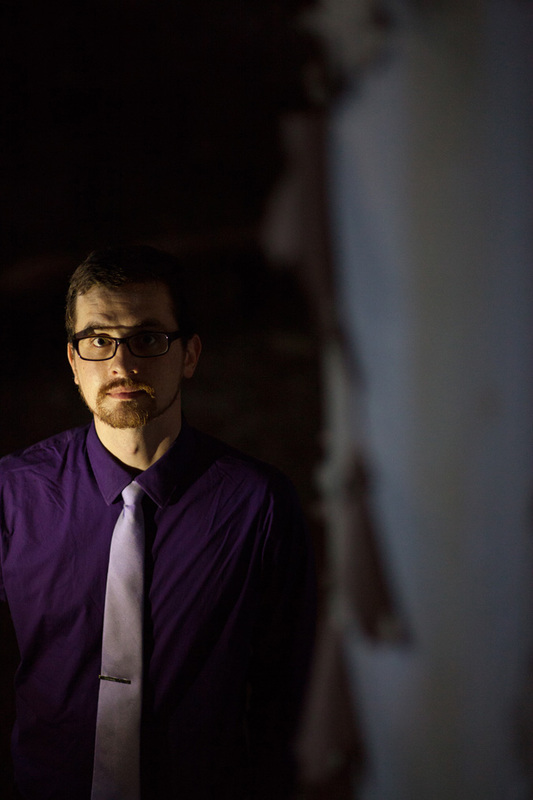 Ethan Hayden's piece for stereo electronics, bats with baby faces in the violet light, saw two performances in the Fall: at Ljudbio II in Uppsala, Sweden, and also at an electroacoustic music concert at Buff State. In addition, Ethan's presented "…ce dangereux supplément…", his piece for solo voice, electronics, and animated projections, at the 2015 International Computer Music Conference in Denton, TX. He'll perform the same work this spring at Narrations contemporaines, a poetics conference in Montreal hosted by bleuOrange, revue de littérature hypermédiatique. Ethan's large ensemble piece, Let's celebrate our corpse-strewn future! will be premiered by Buffalo's Wooden Cities next month, at a concert which will also feature works by current/former UB composers Zane Merritt and John Bacon. In addition, his four-voice arrangement of Kurt Schwitters' Ribble Bobble Pimlico was heard last weekend at Hallwalls' Dada centenary event, performed by BuffFluxus. That's just the tip of the iceberg, there is lots of other music being made here at UB, and we can't wait to hear what's next for these artists in the coming months!